Who doesn't experience stress? When you drive up the highway during 5:00 traffic, stress. When you agree to host your child's end-of-the-year class party, when you know those kids get on your nerves, stress. When you are in a hurry, and without fail, you pick the one line in the grocery store that has a cashier who is moving at the pace of a three-toed sloth, stress. Here are 5 ways stress affects your body and how to reduce stress starting now. We all experience stress, and we know that stress is an emotional or mental strain caused by demanding activities or even adverse events. We know that stress can cause anger, sadness, and irritability, but can stress actually affect your physical health? Absolutely, yes. Do you want to know how to reduce your stress and increase your health? Keep reading. When you experience stress, it causes a physiologic reaction. It causes stress hormones to rise. Your heart rate increases. It causes certain muscles to contract. It causes blood vessels to tighten. Stress can definitely have very negative effects on your health. 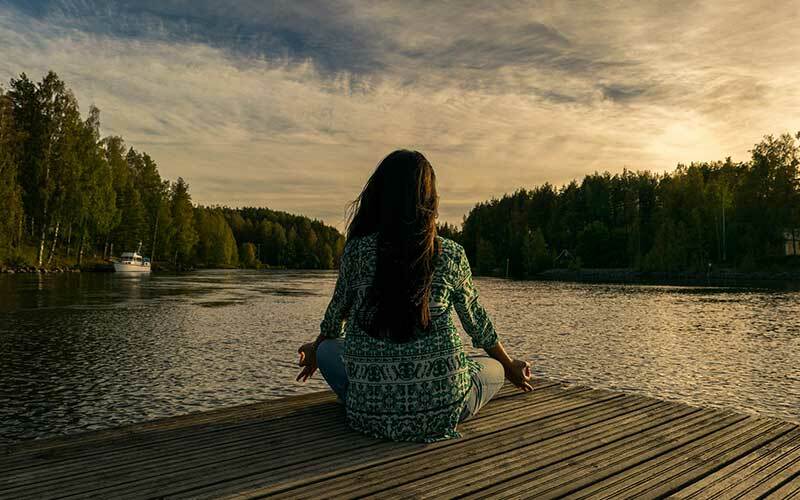 Now, the health problems stress can cause are numerous, but I'm going to concentrate on just five ways that stress can negatively affect your physical health, and I'm going to give you ways to reduce that stress and to increase your health. Stress can cause hypertension, which is a leading cause of heart disease, stroke, and even kidney failure. When you experience stress, it causes your stress hormones, such as cortisol and adrenaline, to rise. When these stress hormones surge, it causes your blood vessels to tighten. When the blood vessels tighten, that causes an elevated pressure against those blood vessels, high blood pressure, and hypertension. So you can imagine, if you are a person who experiences stress several times a day, you may be causing your blood pressure to rise several times a day. So, if you allow yourself to be stressed by that road raged person who cut you off this morning, and also called you a profane name, then your stress may be causing hypertension. Stress can cause headaches. When you experience stress, it can cause contraction of the muscles in your scalp, the back of your neck, and your upper back. These contracted muscles can cause or worsen tension headaches. Now, most of our lives are driven by how productive we are, and if you are a person who is stressed and experiencing chronic or recurrent headaches, how productive can you really be? 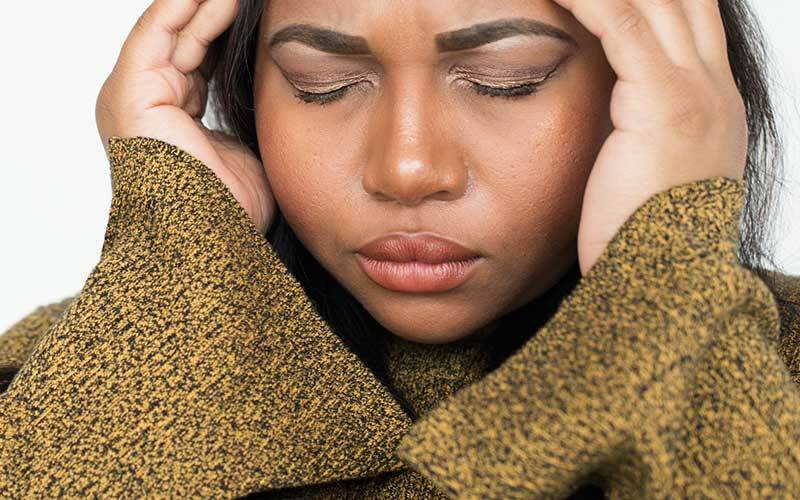 So, when people like that petty person at work, who is always trying to one-up you or to threaten your job security cause you stress, that stress can be causing headaches. Number three, weight gain or obesity. When some people are stressed, they tend to eat more, and the foods they tend to eat are comfort foods, which tend to be high in fat and sugar. So when you're stressed, and you're already eating those comfort foods, the stress hormones that you release, like cortisol, will actually cause you to store or the hold on to that fat more aggressively. The stress hormones will cause you to store that fat in places like your abdomen, the back of your neck, your upper back, your face, and your chin. So if you, for example, are being stressed by a toxic relationship with someone who does not wish you well, who does not encourage you, who does not add to your life, that stress can be promoting weight gain or obesity. The obesity, of course, puts you at risk for diabetes, high blood pressure, and hypertension. Stress can lead to weight gain. Stress can cause chest pain or worsen cardiovascular disease. When you are stressed and those stress hormones surge, they can cause a tightening of your coronary arteries or those heart vessels. Now, imagine if you already have a blockage in one of your heart vessels or a plaque. If you develop stress and those heart vessels tighten around that plaque, you can get chest pain or even suffer from a myocardial infarction, a heart attack. Stress can cause chest pain and worsen cardiovascular disease. Number five, weak immune system. Stress can cause a weak immune system. When you are stressed out, and those stress hormones, like cortisol, are on the rise, they can cause a decrease, or suppression, in your immune system. They can decrease your white blood cells, your lymphocytes, and cause you to be prone to infection. Stress can also cause poor wound healing. So if you, for example, are asked an unreasonable favor by a friend, and you say yes because you want to be nice and you don't want to rock the boat, even though you know you should say no. If this causes you stress, that stress can be decreasing your immune system. How To Reduce Stress and Increase Your Health? So now that you know that stress can actually affect your physical health, how can you reduce your stress and increase your health? Well, one way is exercise. Do at least 30 minutes of cardiovascular exercise most days of the week. Doing this exercise will help to release endorphins, help to increase confidence, and help you to get your mind off of stressful things. It will help to reduce your stress and increase your health. Another way to reduce stress is through meditation. Take time out of your busy day, even if it's just for a few minutes, to sit down, put your back against the wall, close your eyes, clear your mind, and take deep, slow breaths in and out. When you meditate, and when you take these slow, deep breaths, that causes the heart rate to decrease, the blood pressure to decrease, the blood vessels to dilate, and this can help to reduce your stress. Another way to reduce stress is to practice good time management. If you plan to get to events early, then you don't have to worry about being stressed by looking for parking, or figuring out where you're supposed to be, or walking in late and being embarrassed. Something as simple as good time management can help to reduce your stress. Another way to reduce your stress is to identify those things which are stressing you out and try to remove them. Now, I understand that this is not always feasible. If, for example, your minor children are stressing you out, you cannot remove them. It's not legal. But, you can identify what it is about your children that's stressing you out and try to change it. If your kids are stressing you out because every time you turn around they're asking you for the latest designer shoes, or the latest designer clothes. They want the highest, newest phone or they want the latest, most expensive gaming system. Learn how to tell them no. Learn how to say no, and that can help to reduce your stress. In fact, learning how to tell a lot of people no can be a major key in decreasing your stress. Saying no may seem like a simple tactic, but it really is effective in reducing stress. I counsel my patients on this constantly. When they come into my office with sky-high blood pressures, I start asking them questions about what they're doing, and I find that a lot of times, they're running around trying to be people pleasers, trying to be nice, but they're doing it at the risk of their own health. I have patients who are now retired, yet they're working harder than ever before, and I tell them that it is okay to prioritize yourself sometimes. It is okay to tell people no. I even write it down on a prescription, and I'm not kidding. "My doctor said to tell you no." The key is that life is going to present stress. We just cannot avoid that. But it is essential to remember that you are important. It's critical to understand that if you are stressed out, and if you affect your health, you really can't be helpful to others. So please, review your life, identify things that are stressing you, and do everything you can to exercise, meditate, identify the stressors, and learn how to say no sometimes. I hope these 5 ways stress can affect your body and my tips on how to reduce stress have been helpful. Remember, prioritize yourself and strive to live your healthiest, happiest life. Let me know how you manage the stress in your life by leaving me a comment below. Which tip to reduce stress will you try? Also, let me know which one of the ways stress affects your body have you experienced? In case you missed it, click here to learn what you need to know about high blood pressure.